In the Buddhist tradition, the five hindrances (Sanskrit: पञ्च निवारण pañca nivāraṇa; Pali: पञ्च नीवरणानि pañca nīvaraṇāni) are identified as mental factors that hinder progress in meditation and in our daily lives. In the Theravada tradition, these factors are identified specifically as obstacles to the jhānas (stages of concentration) within meditation practice. Within the Mahayana tradition, the five hindrances are identified as obstacles to samatha (tranquility) meditation. Contemporary Insight Meditation teachers identify the five hindrances as obstacles to mindfulness meditation. The five hindrances are identified in the major Buddhist traditions of Theravada Buddhism and Mahayana Buddhism, as well in the contemporary Insight Meditation tradition. But the hindrances are presented differently within these different traditions, depending upon the way each tradition teaches the practice of meditation. Contemporary Insight Meditation teacher Gil Fronsdal describes the hindrances as "a very important list of mental states that have a big impact on meditation practice and people’s daily lives." Fronsdal emphasizes that it is important not to see the hindrances as personal failings. All human beings have them. A big part of mindfulness meditation is to learn about these hindrances in order to become free of them. Therefore, Fronsdal states, the goal is to not dismiss them, but to study them and understand them really well. The deliberate idea of overcoming these five hindrances is important because it is the five hindrances that block the door to both the jhānas, and wisdom. It’s the five hindrances that fuel avijjā. The Buddha said that they’re the nutriments, the food of delusion. Any problem which arises in meditation will be one of these Five Hindrances, or a combination. So, if one experiences any difficulty, use the scheme of the Five Hindrances as a 'check list' to identify the main problem. Then you will know the appropriate remedy, apply it carefully, and go beyond the obstacle into deeper meditation. When the Five Hindrances are fully overcome, there is no barrier between the meditator and the bliss of Jhana. Therefore, the certain test that these Five Hindrances are really overcome is the ability to access Jhana. Within the Mahayana tradition, the five hindrances are typically identified as obstacles to samatha meditation (also referred to as tranquility meditation). In meditation one develops an understanding of the Five Hindrances -- how, when one of them is present, you investigate it, you understand it, you accept its presence and you learn how to deal with it. Sometimes you can just tell it to go away and it goes; sometimes you just have to allow it to be there till it wears out. Contemporary Insight Meditation teacher Gil Fronsdal emphasizes that to be a good student of the hindrances, you must be very patient with them and not be dismissive of them. When they arise, you must stop for them. Fronsdal states that a bumper sticker for this type of training could be “I stop for the hindrances.” You don’t indulge them, Fronsdal states, you become interested and study them. The hindrance of sensory desire (kamacchanda) is latching onto thoughts or feelings based on the pleasures of the five senses. Traleg Kyabgon states: "This term alludes to the mind's tendency to latch on to something that attracts it--a thought, a visual object, or a particular emotion. When we allow the mind to indulge in such attractions, we lose our concentration. So we need to apply mindfulness and be aware of how the mind operates; we don't necessarily have to suppress all these things arising in the mind, but we should take notice of them and see how the mind behaves, how it automatically grabs onto this and that." In the Pāli term kāma chanda, chanda is what you have to do if you cannot attend a meeting of the community of monks, and you want to give approval and agreement to what’s happening there, you give your chanda to go ahead in your absence. It’s agreement, approval, consent, and it’s much more subtle than mere desire. This means that you are buying into, giving in to this, you want it, you approve of it, and you allow it to happen. In the same way that we have chanda in the Vinaya, we have that kāma chanda. It’s as if you give your approval for the sensory world to be in your consciousness, in your mind, you accept it, approve of it, and you play with it, that’s all chanda. It’s letting it completely occupy the mind, and it’s much more subtle than just mere desire. The kāma part of kāma chanda, that’s all that is comprised in kāmaloka, the world of the five senses, which goes from the hell realms, the animal realms, the ghost realms, the human realm, and the Deva realms, to everything that is concerned with those kāmaloka realms. Kāma Chanda is acceptance, agreement, and consent for that world to occupy you. The hindrance of ill will (vyapada) is latching onto thoughts or feelings based on anger, resentment, hostility, bitterness, etc. Traleg Kyabgon states: "The second hindrance is ill will; it is the opposite of the first hindrance, being brought about by aversion rather than attraction. Ill will refers to all kinds of thought related to wanting to reject, feelings of hostility, resentment, hatred and bitterness. When they arise, we should take note of them, not necessarily suppressing them, but seeing how they arise." Ill will is overcome by applying Metta, loving kindness. When it is ill will towards a person, Metta teaches one to see more in that person than all that which hurts you, to understand why that person hurt you (often because they were hurting intensely themselves), and encourages one to put aside one's own pain to look with compassion on the other. But if this is more than one can do, Metta to oneself leads one to refuse to dwell in ill will to that person, so as to stop them from hurting you further with the memory of those deeds. Similarly, if it is ill will towards oneself, Metta sees more than one's own faults, can understand one's own faults, and finds the courage to forgive them, learn from their lesson and let them go. Then, if it is ill will towards the meditation object (often the reason why a meditator cannot find peace) Metta embraces the meditation object with care and delight. For example, just as a mother has a natural Metta towards her child, so a meditator can look on their breath, say, with the very same quality of caring attention. Then it will be just as unlikely to lose the breath through forgetfulness as it is unlikely for a mother to forget her baby in the shopping mall, and it would be just as improbable to drop the breath for some distracting thought as it is for a distracted mother to drop her baby! When ill will is overcome, it allows lasting relationships with other people, with oneself and, in meditation, a lasting, enjoyable relationship with the meditation object, one that can mature into the full embrace of absorption. Sloth-torpor is a dull, morbid state that is characterized by unwieldiness, lack of energy, and opposition to wholesome activity. Traleg Kyabgon states: "When this hindrance is present, we lose our focus in meditation. We may not be agitated in any perceptible way, but there is no mental clarity. We gradually become more and more drowsy, and then eventually go to sleep." "Sloth and torpor is overcome by rousing energy. Energy is always available but few know how to turn on the switch, as it were. Setting a goal, a reasonable goal, is a wise and effective way to generate energy, as is deliberately developing interest in the task at hand. A young child has a natural interest, and consequent energy, because its world is so new. Thus, if one can learn to look at one's life, or one's meditation, with a 'beginner's mind' one can see ever new angles and fresh possibilities which keep one distant from sloth and torpor, alive and energetic. Similarly, one can develop delight in whatever one is doing by training one's perception to see the beautiful in the ordinary, thereby generating the interest which avoids the half-death that is sloth and torpor. [...] Sloth and torpor is a common problem which can creep up and smother one slowly. A skilful meditator keeps a sharp look-out for the first signs of sloth and torpor and is thus able to spot its approach and take evasive action before it's too late. Like coming to a fork in a road, one can take that mental path leading away from sloth and torpor." Traleg Kyabgon states: "When this happens, instead of persisting with the meditation, it is better to try to refresh ourselves by getting up and going for a walk or washing our face, after which we return to our meditation." The hindrance of restlessness-worry (uddhacca-kukkucca) refers to a mind that is agitated and unable to settle down. Traleg Kyabgon states: "The fourth hindrance is restlessness and worry, which refers to all the mental activities that go on in our mind due to its restless nature." Restlessness [uddhacca] is overcome by developing contentment, which is the opposite of fault-finding. One learns the simple joy of being satisfied with little, rather than always wanting more. One is grateful for this moment, rather than picking out its deficiencies. For instance, in meditation restlessness is often the impatience to move quickly on to the next stage. The fastest progress, though is achieved by those who are content with the stage they are on now. It is the deepening of that contentment that ripens into the next stage. Remorse [kukkucca] refers to a specific type of restlessness which is the kammic effect of one's misdeeds. The only way to overcome remorse, the restlessness of a bad conscience, is to purify one's virtue and become kind, wise and gentle. It is virtually impossible for the immoral or the self-indulgent to make deep progress in meditation. The hindrance of doubt (vicikicchā) refers to doubt about one's ability to understand and implement the meditation instructions, as well as about the teacher and Buddhist teachings in general. Traleg Kyabgon states: "When we meditate in the presence of this hindrance, we have a constant nagging feeling: "How do I know what I am doing is right? How do I know if this thing really works and if I am not just wasting my time? How do I know what the Buddhist teachings say is true? How do I know if that what the meditation teachers have taught me is right and that they are not deluded?"" Doubt is compared to being lost in a desert, not recognising any landmarks. Such doubt is overcome by gathering clear instructions, having a good map, so that one can recognise the subtle landmarks in the unfamiliar territory of deep meditation and so know which way to go. Doubt in one's ability is overcome by nurturing self-confidence with a good teacher. A meditation teacher is like a coach who convinces the sports team that they can succeed. These five counteracting factors arise during the first jhāna (stage of concentration). Each of the remaining four hindrances are similarly treated in subsequent paragraphs. Similarly, in the Saṅgārava Sutta (SN 46.55), the Buddha compares sensual desire with looking for a clear reflection in water mixed with lac, turmeric and dyes; ill will with boiling water; sloth-and-torpor with water covered with plants and algae; restlessness-and-worry with wind-churned water; and, doubt with water that is "turbid, unsettled, muddy, placed in the dark." According to Gil Fronsdal, the Pali term nīvaraṇa means covering. Fronsdal states that these hindrances cover over: the clarity of our mind, and our ability to be mindful, wise, concentrated, and stay on purpose. According to Rhys Davids, the Pali term nīvaraṇa (Sanskrit: nivāraṇa) refers to an obstacle or hindrance only in the ethical sense, and is usually enumerated in a set of five. ↑ For example, in Samyutta Nikaya chapter 46, Bojjhanga-samyutta, discourses 46.31 through 46.40 are based on this juxtaposition (Bodhi, 2000, pp. 1589-94). ↑ Bodhi (2000) elides the middle five factors of enlightenment, inserted here in square brackets, since all seven factors of enlightenment are identified previously multiple times in Bodhi's text. "To overcome the hindrances, to practise satipatthana, and to establish the awakening factors are, indeed, according to several Pali discourses, the key aspects and the distinctive features common to the awakenings of all Buddhas, past, present, and future." Anālayo further supports this by identifying that, in all extant Sanskrit and Chinese versions of the Satipatthana Sutta, only the five hindrances and seven factors of enlightenment are consistently identified under the dhamma contemplation section; contemplations of the five aggregates, six sense bases and Four Noble Truths are not included in one or more of these non-Pali versions. ↑ Some correlate each individual hindrance with its sequentially matched metaphor, so that covetness is likened to being in debt, having ill will to sickness, sloth and torpor to imprisonment, having restlessness and anxiety to slavery, and doubt to traveling through uncertain terrain. ↑ Upatissa et al. (1995), p. 316, identifies that sense-desire is "destroyed through the Path of Non-Return." In the context of commenting on sutta SN 46.55, Bodhi (2005), p. 440, n. 14, states that sensual desire is "eradicated by the path of arahantship (since kāmacchanda is here interpreted widely enough to include desire for any object, not only sensual desire)". ↑ Regarding the Sāratthappakāsinī commentary, see Bodhi (2005), p. 440, n. 14. Regarding the Vimuttimagga commentary, see Upatissa et al. (1995), p. 316. 1 2 3 4 5 Fronsdal 2008, The Five Hindrances: Introduction; 2008-10-13. 1 2 3 Traleg Kyabgon 2001, p. 26. 1 2 Wallace 2006, pp. 158-159. 1 2 3 Traleg Kyabgon 2001, p. 25. 1 2 3 Traleg Kyabgon 2001, pp. 25-26. ↑ Bodhi (2000), pp. 1611-15; Walshe (1985), sutta 60, pp. 73-75. ↑ Upatissa et al. (1995), pp. 91-92. 1 2 Five Hindrances Bodhi Cards Archived August 31, 2013, at the Wayback Machine. Upatissa, Arahant and N.R.M. Ehara (trans. ), Soma Thera (trans.) and Kheminda Thera (trans.) (1995). The Path of Freedom (Vimuttimagga). Kandy, Sri Lanka: Buddhist Publication Society. ISBN 955-24-0054-6. 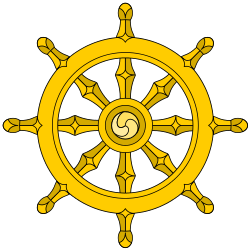 Nyanaponika Thera (1993), The Five Mental Hindrances and Their Conquest (Wheel No. 26). Kandy: Buddhist Publication Society. Retrieved 08-09-2008 from "Access to Insight" (1994) at http://www.accesstoinsight.org/lib/authors/nyanaponika/wheel026.html.